Mountain biking has boomed in recent years and as a result, manufacturers have developed an increased number of specialized designs to appeal to this broad and nuanced market. With so many models to choose from, selecting your first mountain bike — or upgrading to a more sophisticated model — can be quite the inundating task. From cornering ability to basic standover specifications, there is a slew of details to consider. 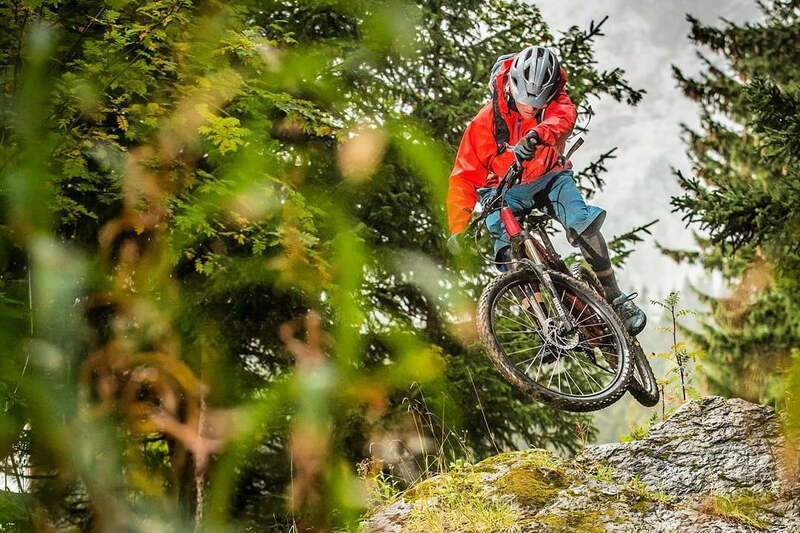 While some downhill juggernauts may prefer a more advanced suspension system, the casual mountain biker or those new to the sport may only need a solid budget option for a weekend outing. That said, here are five of the best mountain bikes on the market. Why should you buy this? The Santa Cruz Hightower C R is a well-rounded mountain bike with enough get up and go for novice riders and impressive capability on rugged terrain for more aggressive riders. Who it’s for? Individuals who want great handling, speed, and a calm climb. The mountain biking industry is trending toward bigger wheels and the Santa Cruz Hightower fits the bill. Its 29-inch wheels are complemented by carbon rims, offering excellent precision, and 140 millimeters of front travel that takes you quickly down the trail. Our top pick is a solid option for both beginner and advanced mountain bikers due to an excellent combination of speed and handling. This bike takes on burly trails with ease while still traveling comfortably across easier terrain. The Santa Cruz Hightower C R comes alive at slower speeds, making for an exciting bike for novice riders. Skilled riders will enjoy its efficient climbing capacity and the ability to withstand backcountry abuse. This bike could easily fit into the enduro category, as well. Santa Cruz is coveted for its carbon fiber models and while this one doesn’t feature its top-of-the-line Carbon CC frame, it offers the same ride quality and durability while weighing just a touch more — making up for this weight is a reasonably lower price tag, however. The Santa Cruz Hightower C R is truly worth the bang for its buck, especially considering the NX drivetrain and RockShox Revelation. Why should you buy this? It’s a no-nonsense model with everything you need to start riding — and who doesn’t trust the Specialized name? Who it’s for? Individuals who are just starting out or looking to up their game. The “hardtail versus full-suspension” debate is one of the more polarizing arguments in mountain biking. Needless to say, you can’t have an extensive list of the cross-spectrum preferences without mentioning both models, and the Specialized Fuse Comp 6Fattie is one of our favorite hardtails. A relaxed geometry means equal parts speed and efficiency on climbs and descents. This bike features wide 27.5+ tires, which make up for the lack of rear suspension and tackle obstacles with ease. The SRAM 11-speed NX drivetrain is everything you need in a bike of this caliber, complimented by a lightweight aluminum frame. The company’s hallmark short chainstays mean precise handling and climbing ease. If you’re a diehard-tailer, look no further — its affordable price tag is just icing on the cake. Why should you buy this? Because you should. Who it’s for? The early adopters who like their mountain bikes like their Ferraris. What’s not to love — except for the mouthful of a name — about the Specialized Turbo Levo FSR 6 Fattie? It’s part classic fat boy, part full-suspension, with intuitive motorized assistance. 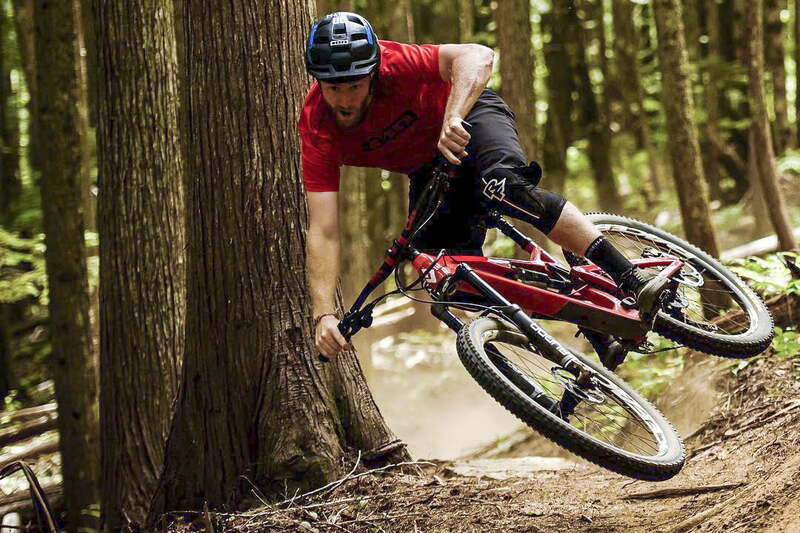 The Turbo Levo line of bikes all include a beast of a motor with up to 530 watts of power. But this isn’t some push-button accelerator. Simply applying torque to the process (regardless of terrain) could easily result in a skid. On ascents or reckless, white-knuckled descents, a haphazard jolt of acceleration could quite literally steer you in the wrong direction. Fortunately, the Turbo Levo system uses a backend algorithm to sense your torque, speed, and cadence, then amplifies this sequence for maximum efficiency. The bike uses a circular series of 10 lights along the frame to illustrate the battery life — each represents 10 percent of the total charge. In the center of this readout is a basic two-button interface allowing you to increase or decrease power. The Bluetooth-enabled system also connects to your smartphone via the Mission Control app. This allows you to finagle a range of motor dynamics from acceleration response to increasing turbo. Mission Control also tracks the metrics of your ride for those so inclined. The Specialized Turbo Levo FSR 6 Fattie isn’t a one-trick-pony, and the bike itself is a beefy (albeit lightweight) aluminum fat boy. The 18-inch chainstays keep your rear wheel close for the casual wheelie, while the 3-inch front and rear wheel tires add unparalleled traction. These tires increase the total surface friction but with the added Turbo Boost, the increased workload is easily accounted for and then some. Do you need a robo-bike? Absolutely not. Is it nice to the have the option to be partially chauffeured to the top of the trail? Yes. Yes, it is. Why should you buy this? The Process 153 AL/DL offers the brand-new patented Beamer Independent Suspension, which is one of the most advanced full-suspension systems on the market. Who it’s for? Individuals looking to upgrade from their first full-suspension model to a higher-end cornering and pure descent monster. The Process 153 AL/DL is part of Kona’s brand-new Process G2 (Second Generation) line which uses a patented Beamer Independent Suspension — a design that’s quickly being hailed as one of the best full-suspension systems on the market. The actuated shock along the top tube uses a single-pivot design for superior absorption and durability. This minimal motion, designed with wide pivots and oversized bearings, holds up against inevitable bowing, adding a hefty dose of durability. The Process 153 AL/DL climbs efficiently enough to please the cross-country enthusiast, while the overall suspension and short chainstays keep the earth firmly and evenly beneath your feet — even on full-throttle descents. The bike is available in either 27.5 or 29-inch wheels, adding to its overall versatility. The Process 153 AL/DL achieves greater balance and control thanks to the incorporated tapered head tubes. The tube is wider at the head to more evenly absorb shock and more aptly grab the trail. Not just a safe bet, the Process 153 AL/DL is a jack-of-all-trades, more than capable of conquering the full gamut of terrains. Why should you buy this? Someone looking for more than a basic mountain bike without breaking the bank. Who it’s for? The casual or beginner mountain biker. For those keeping track, that’s not one but two hardtails on the list. 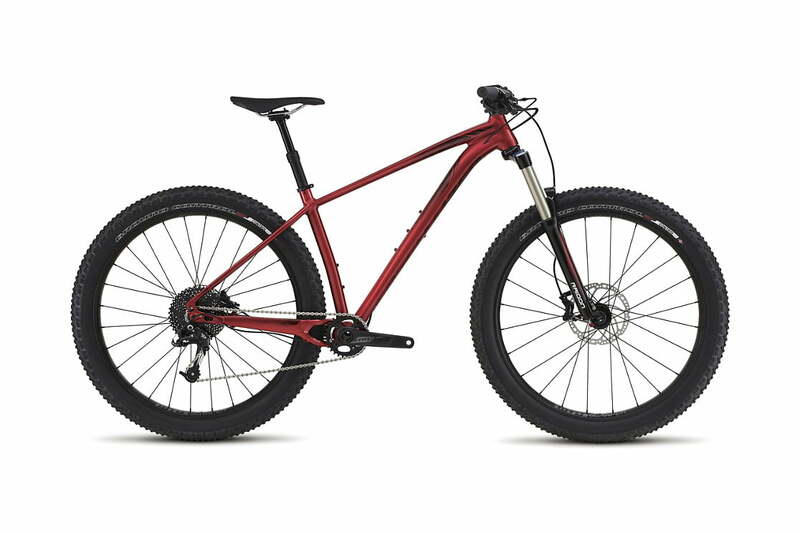 If you’re in the market for your first mountain bike, or you’re a casual rider in need of a more than a nuts-and-bolts model, the Specialized Rockhopper Comp 29 is a solid bet. The Rockhopper utilizes a classic minimalist hardtail design without coming across as wholly utilitarian. It is steady and firm on climbs, as are most hardtail designs. While full-suspension packages keep you grounded and own the descent to a better degree, the bonus mechanical elements increase the price and propensity for extra wear and part replacement. Rather than perpetually upgrading components, this bike, priced under $900, should give you years of performance, so feel free to ride this baby quite literally into the ground. On rougher trails, you’ll certainly feel every inch of the descent, and depending on your preference, that may or may not be a good thing. If you live for cornering or simply the love of the downhill grind, you’ll prefer one of the other full-suspension models on this list, however, the Rockhopper is certainly more than just a grocery-getter. Brand new for 2018, Diamondback released a high-end carbon version of its popular aluminum Release that’s meant to bridge the gap between uphill speed and downhill performance. The full-suspension bike showcases a patent-pending design featuring a long front and short tail combined with a low bottom bracket. The result is a ride that feels fast and responsive through tight twists and turns yet stable enough to take big hits. Built with a Fox 36 fork, Eagle X01 drivetrain, and Descendant carbon cranks, the Release sits firmly in the elite bike category yet its price tag hardly reflects it. At $4400, it’s an extraordinary value for a bike with top-grade bells and whistles. Its Level Link suspension absorbs impact while remaining light and floaty with an efficient pedaling system that doesn’t waste a single motion. Other features include Novatec hubs, a KS LEV Integra dropper post, and SRAM Guide RS hydraulic disc brakes with 180mm rotors that halt on a dime. Best of all, you can fully customize your perfect build via Diamondback’s Custom Studio and ship it 95 percent assembled via ReadyRide. Now is definitely a great time to buy. 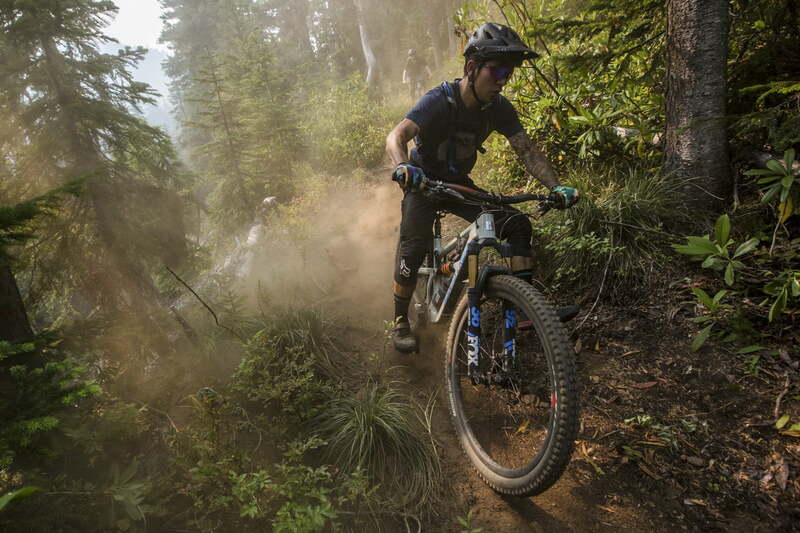 Bike sales increase as the mountain biking season approaches. This often leaves consumers at the wrong end of the supply-and-demand spectrum. Should I buy online or from a retailer/independent dealer? This is a matter of preference. However, unlike online purchases, going to an independent dealer allows you to try and negotiate a lower price and/or haggle for bonus deal sweeteners such as accessories or basic upgrades. Also, dealing with a retailer or an independent dealer allows you to see the bike in person and take it for a test-ride. While a bike may appear ideal on a website, it’s better to make sure the bike meets your height and reach requirements before making a purchase.